I had quotes for Xpel from Wrap Capital in Exeter which seemed reasonable. Happy to PM prices if anyone is interested. To be honest you can get a very very good front end respray for a grand !! Not to derail your thread but since I said yours looks a lot like mine, I may as well post some pics, hope they work.. Awesome looking car. Have to agree re: gen 1 to gen2. So much real world difference. I came from a gen 1 manual to a gen2 pdk and will never look back! The box is stunningly responsive in sport and the power is addictive. Thanks everyone for all the great advice. The PPF film on my car is expel andnit is holding up well after 5 years. I'm definately a fan of PPF rather than resprays, its nice to keep the factory paint on. 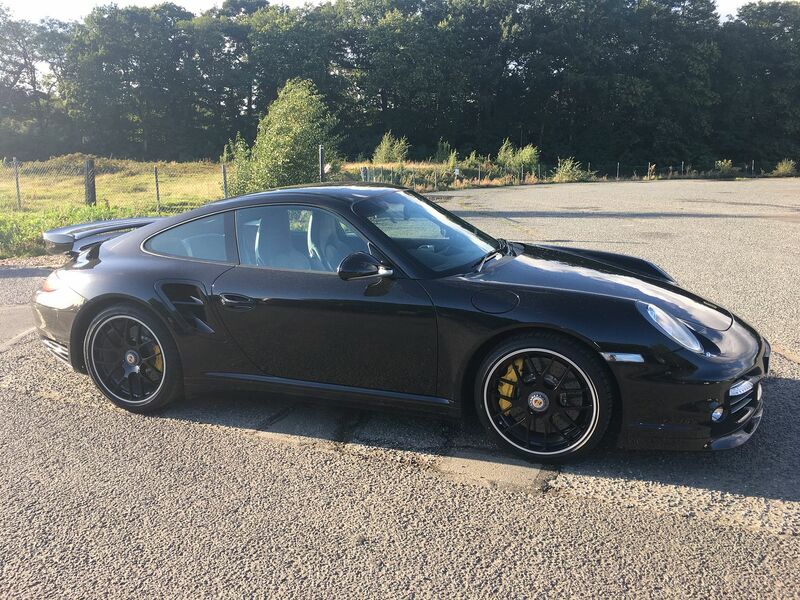 Roger, amazing you have a Black Aerokit'd 997.2 , You're right, it is very similar to mine. I love the yellow seat belts on yours. Here's another recent picture of mine in my work car park after a lovely 25 mile commute to work down the M3 and through some very fast Surrey B roads close to Mclaren. I often see their test cars on my way to and from work. Thanks, I love the yellow seat belts, don't see them too often at all, I think they look great alongside the PCCB's yellow calipers. make it a bit more special. 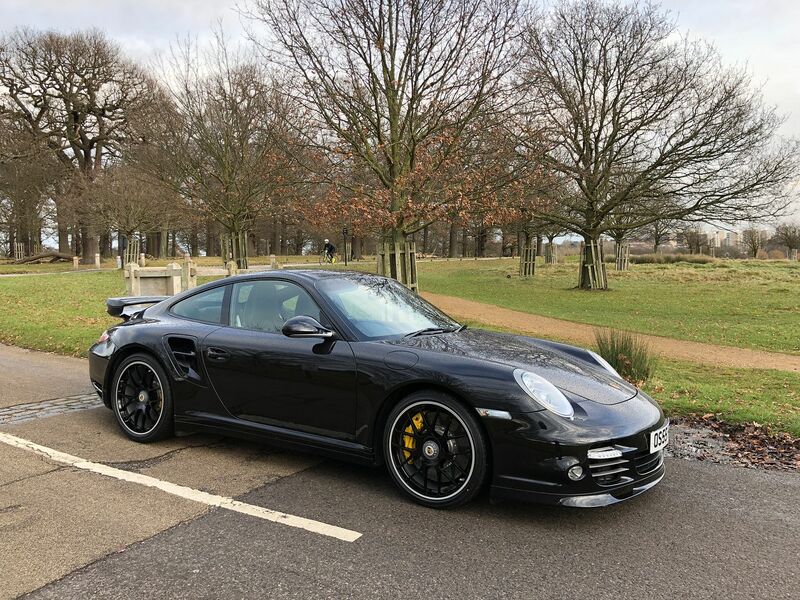 Been doing some enjoyable winter driving since getting the car serviced at Porsche Bristol. Just a minor service that wasn’t required because I don’t like the idea of not changing the oil every twelve months. Bristol OPC service dept did a brilliant job as usual with great customer service. Here’s a pic of the car out on a sunny winter blast. Are you in the Bristol area or do you travel? I have only ever used Bristol OPC for parts but they are great in this department. 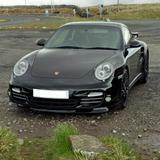 Will 997 soon move into OPC Classic servicing pricing does anyone think?? My 2012 997 Turbo S has just covered 15K miles. It has been used all year round and detailed once per month, for a year by Topaz and laterly by Design by Detail. It hasn't skipped a beat and has been an absolutely superb daily driver. I have ignored the two year wait between services and i take it to OPC Bristol annually for a minor service, apart from this cost so far it has not cost anything additionally. I've just taken it in for a major service and i'm changing the original Bridgestones despite having some tread left on them, i feel at 6 years old its time. I've also opted to keep the car under porsche warranty for another two years as i'm keeping the car. 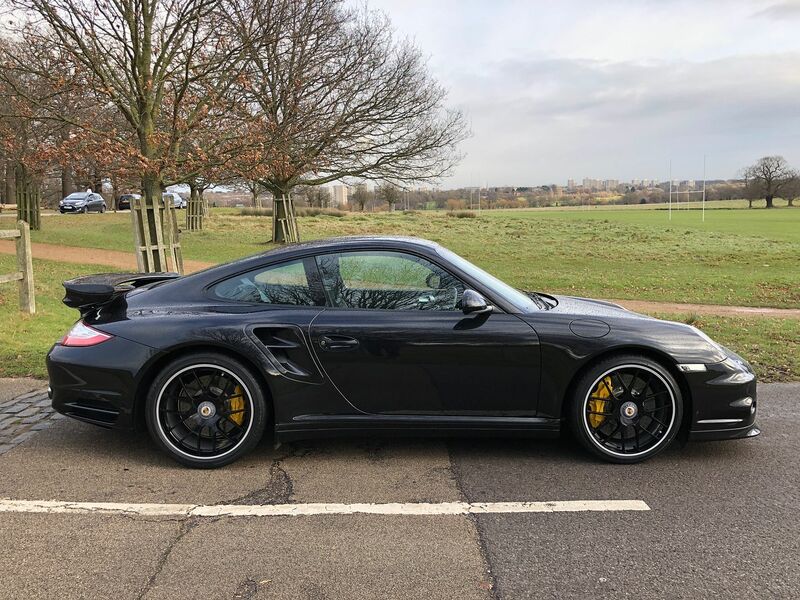 I did have a little look at a 991.2 Turbo S, but frankly i felt that for the additional cost involved i wasn't getting enough of a step upwards in performance. I've never been at a stage when the 997 was lacking in performance in any way. It still takes my breath away when i open it up. OPC Bristol have continued to provide excellent customer service and i am very happy with the way i am treated.